US, 2015, 87 minutes, Colour. James Franco, Ed Harris, Amber Heard, Jim Parrack, Cynthia Nixon, Christian Slater, Timothee Chalamet, Wilmer Valderrama. With the word diaries in the title, audiences need to be alert that this is not a smooth, novel-like narrative but rather snippets and clips of characters and events from a diary. The film is a star vehicle for James Franco, prolific in his writing, acting and directing. Here he writer Stephen Elliott, who was written his biography which implies strong criticism of his father, played by Ed Harris. There is antagonism between father and son, the father disowning the book – until later, some reconciliation between the two of the father backing down. In the meantime, the writer has collapsed relationships, experiences drug addiction and dependence, and his life is in a mess. He becomes interested in a murder case, a man accused of murdering his wife – Christian Slater in court sequences. While a friend of the accused does confess to some murders, he does not confess to the murder of Slater’s wife who stands trial and is found guilty. 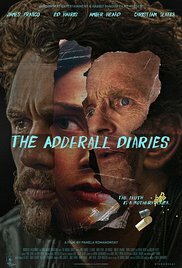 With his own difficulties, and relationships (Amber Heard) the writer decides to keep a diary record of the trial, overcoming some writer’s block, following the trial and exploring the characters. There is quite a lot going on in the film, the variety of strands of the writer’s life, relationship with his father, interest in the case, making for a rather complex narrative, not always easy to follow. 1. The impact of the film? Real? Fiction? 2. Stephen Elliott, his life, his writings, the quotation at the beginning about stories, memories? The other films on his themes of life? 3. Locations, American cities, homes, the past and the present, the bookshop of the readings? The musical score? 4. The contrast with the court sequences? 5. The work of writers, success, writer’s block, years, outlets, being urged on by publishers and editors? Stephen Elliott, success, the reading, his father’s presence and announcing him, the discussions with his brother, his editor and her urging him on, plans, missing out on opportunities? His having to face the truth, true memories and falls memories, conflation of memories? bashing the windscreen of the car? His life, angers? 7. Stephen Elliott as an adult, his writing, stating his father was dead, not having seen him for seven years? Fiction and truth? Memories? His discussions with his brother and his brother’s ordinary life and family? The fighting with his father, his father’s visits, the discussion about particular incidents, his father explaining what actually happened, Stephen and the conflation? His father’s illness, wanting reconciliation, Stephen not believing him, his collapse, the hospital? Some kind of acceptance? 8. Stephen, his experience of drugs, leaving home, his father letting him go, the effect? Sexual behaviour, the meeting with Lana at the court, the court case with her, at home, sexual encounter, the sadistic sequences, Lana not being able to continue with him? 9. The background of the court case, the information, the case itself, Hans and his wife, denial that he committed murder, in court, the trial? His attitude towards his wife, protecting his children? Stephen making contact, wanting to write the book, memories of Truman Capote and Norman Mailer? Hans being found guilty? Stephen going to the prison, making contact with him again?? Stephen’s presence during the trial, his interest in a project? 10. Issues of truth, different perspectives on the truth, admitting being wrong, some hope?